Call us at (214) 324-5800 today. We are dedicated to educating and assisting others to live active, healthy lives by providing heart centered quality care through the use gentle chiropractic, rehabilitative exercise therapy, nutritional and leading edge therapies. Through the integration of chiropractic care, natural therapies and Life Wellness Coaching, we give patients the tools necessary to heal wholistically, releasing painful physical, emotional, and mental patterns of stress. In essence, this approach strengthens the spine & immune system, optimizes physiology and creates well being. The hallmark of our work is a dynamic state of physical health and vitality, emotional balance, and personal empowerment. As Dr. Royal says, "It's like watching a flower bloom." Please feel free to call our office for a complimentary consultation. Find out what a chiropractic lifestyle can do for you and your family. For more information or to schedule an appointment with our Dallas chiropractor, call (214) 324-5800 today! Dr. Julie Royal is a chiropractor serving Dallas and the surrounding area. 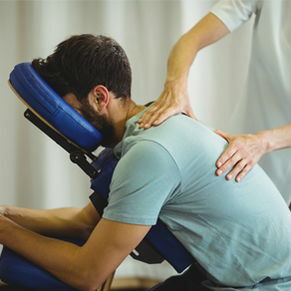 Our chiropractor and the rest of the welcoming team at Royal Chiropractic Wellness & Rehab are committed to providing chiropractic solutions to address your unique needs, whether you are experiencing back pain, neck pain, headaches, or even muscular tightness and tension. You may be searching for pain relief after an accident, experiencing an injury, or if you suffer from a specific condition like chronic back pain or a spinal condition. Even if you are looking to improve your overall health, our chiropractor can help you attain your everyday wellness goals! Visit our testimonials page to find out what our patients are saying about our Dallas chiropractor and our chiropractic care plans. At your first visit to Royal Chiropractic Wellness & Rehab, Dr. Julie Royal will explain how chiropractic care works and give you a full evaluation to see if our chiropractic solutions are a good fit to address your needs. If there is a good fit, we can customize a plan of chiropractic care for your condition and health goals. If you have not been to a chiropractor before and want to find out more, please contact us or call (214) 324-5800 to receive the answers to your questions from our experienced team. We also welcome referrals, so we invite you to share our chiropractic and wellness information with your friends and loved ones. Dr. Julie Royal is a healer who has been supporting people through rites of transformation and self-healing for over 30 years. With a genuine interest in her patient's care, her intuitive healing abilities blend with an exceptional understanding of truly 'whole-istic' well-being, lending her the innate drive and ability to quickly eliminate pain, leading others on a path of personal growth, empowerment and joyful rediscovery of one's Essence Self. Guiding patients to establish a foundation of health that is unshakable, she cares for people of all ages, from newborn babies to elderly people in their 90's. Dr. Julie Royal enjoys sharing her love of animals, horses, art, music, writing and martial arts with her two children and husband. She was a state and national competitive bodybuilder in her 20's & 30's, winning her weight class and overall in several state championships, including the Ms. Michigan and Ms. Texas titles in 1986 & 1993 respectively. She is also a black belt in American Nam Seo Kwan Tae Kwon Do and a member of the AKATO (American Karate and Tae Kwon Do Organization) here in Dallas. She is passionate about empowering others mentally, emotionally and physically. "I came in to see Dr. Julie Royal at Royal Wellness Center, when I was in a lot of pain and feeling very stressed. Her holistic approach to chiropractic was exactly what I needed! A plan was developed specifically for me that included not only adjustments but also physical therapy and other treatment modalities that have begun to heal the whole me! I Dr. Royal is very knowledgeable and I highly recommend her practice." "Dr. Royal saved my life! I work on my feet and have for many many years & started getting horrible migraines and I was in constant back pain. I had never seen a chiropractor before (my gen. Phys. Recommended I check one out) so I wasn't sure about how it would be. She is so friendly, warm, and genuine I felt totally comfortable right away and she has changed my life. I'm so happy with the care I have received from her. I recommend her highly to anyone who needs some help. She does so much on so many levels!" "I love this place- What more Dr Royal has helped me in many aspects of my life! Dr Royal has helped me in many aspects of my life! As a dental assistant I’m constantly in “funky” positions to work on patients and developed significant pain in my lower/mid back after several years of sitting in one position. I also suffer from frequent migraines. With Dr Royal’s help, she and I designed a treatment plan that best fit me. She worked with me for payments and did everything she could to keep my bill as low as possible, while still giving me the attention I needed for frequent visits. She has such a soothing and calming voice while offering excellent and helpful holistic approaches to treatment. I wouldn’t let anyone else near me for chiropractic care!! She is the greatest and I HIGHLY recommend!!!" "I feel so incredibly blessed and grateful that I was referred to Julie when I was. Not only has she helped me out of some of the worst pain in my life and get through some deep emotional trauma but she continues to equip me with empowering tools that help me maintain my over all well being and continue my healing. I love how she incorporates the full spectrum of holistic approaches to healing encompassing all levels including mental, emotional, spiritual and physical. She has helped me find my limitless potential and I look forward to continue a life long relationship with her. I love you so much Julie!! Thank you for everything!!!" "Dr Royal has been nothing short of incredible. I came in with severe neck issues that caused my left shoulder down to my fingertips to be go numb with considerable weakness and pain. Dr Royla mapped out a plan and I have avoided surgery and have regained the feeling and strength that was lost. I have also referred my mom who has had non-stop headaches for the past 7 years. My mom has now had periods of no pain which she hasn't had in years. The periods of no pain are lasting longer and longer and for the first time in years she has hope. Make the commitment to Dr Royal and she will do the same for you!!"